It is a very busy time of year! Inevitably, the focus is particularly on our Year 11 and Sixth Formers who are in the thick of revision and expert preparation for the business of exams. We have been mindful that this can be a uniquely stressful time in any young person's life so have been at pains to push our students but also support and help them through it. Our approach has been to encourage our students to engage in deliberate practice ie to focus on areas of weakness and, mark by mark, practise so that they can reach the next grade. Our artists and photographers have sat their exam, producing some stunning work in the process. Good luck to all of our students as the written exams beckon, typically just when the temperature notches up. We have finished the work on some of the small classroom spaces in the Sixth Form block, which now look fantastic - genuinely attractive, professional study spaces and IT facilities which befit a new ambition for a joint Sixth Form across two schools. In addition, we have finished work on our Leadership Hub in the heart of the D&T department, which is effectively a bookable all-purpose professional meeting space. In the next few weeks we will finalise premises plans for the summer, the next phase of what will be a gradual refurbishment of the school. At the time of writing we are deciding upon names for our new Houses, which will be decided upon in assemblies. Students were invited in their tutor groups to come up with suggestions and we have whittled it down to: local areas, outstanding Bristolians, rivers and trees. Houses will be a key driver in establishing an ethos where students have more involvement in school life and we will be using the system to put on competitions across as many fields as possible, to create more opportunities for students at Mangotsfield School. It is an incredibly busy time planning for the changes to uniform and a different pastoral system. There have been some stunning examples of students pushing themselves and showing the leadership skills and commitment to a cause which are so important for life: Archie Kenway and Joel Vadhyanath’s fundraising efforts for the Tenner Challenge were truly stunning; congratulations for our Year 8 and 9 footballers on winning the Bristol Schools' cups for their respective years and a huge well done to our Duke of Edinburgh students and staff on their work this term towards the Bronze Awards. There is so much hard work and a huge sense of purpose from staff and students currently. I am delighted by our year so far. As mentioned in our last Bulletin, March saw Mangotsfield School Year 9s embrace the 'Tenner Young Enterprise Challenge'. 3219 teams entered the Young Enterprise competition from schools all over the UK. 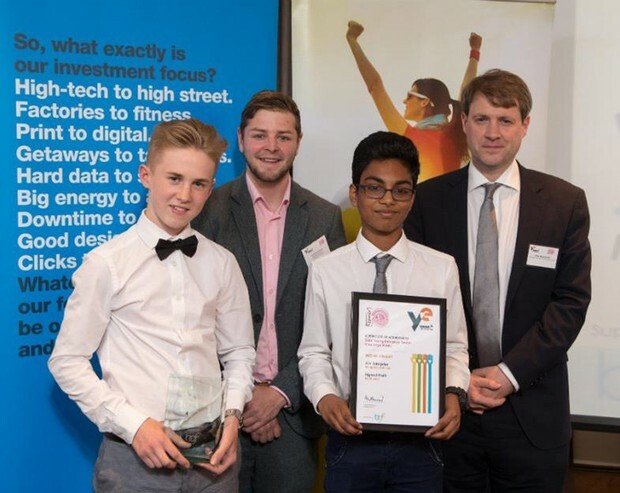 Such was the success of Mangotsfield’s 'JKV Enterprise', otherwise known as Archie Kenway and Joel Vadhyanath, that they were invited to London as one of the nine finalists for the prize-giving. Archie and Joel were awarded the Prize for the Highest Profit in Age Group 11-14. I had the honour of accompanying the boys, whose behaviour was exemplary throughout. In her speech, the Chair of the day made special reference to the fact that JKV Enterprise was the only team to donate 100% of its profits to a charity outside their school, a Brain Tumour Charity called Finlay’s Journey. 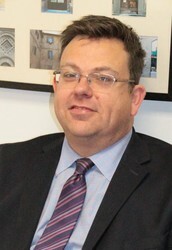 Stephen Welton, CEO of 'BGF' (Business Growth Fund), quoted the boys' high level of profit-making in his presentation, saying that there are a lot of highly successful companies that would like to turn a profit similar to that of Archie and Joel, ie £10 to £3421 in one month. Huge congratulations to Archie and Joel, you are a credit to Year 9 and the Mangotsfield School Community. When dropping off or picking up their children at the end of the school day, a number of parents are using Morley Avenue to reverse their cars to turn around. There was an incident there earlier this week which resulted in damage to a resident's fence. We would ask all parents to exercise extreme care at all times in and around the school locality to avoid accidents to students, damage and complaints by our neighbours. 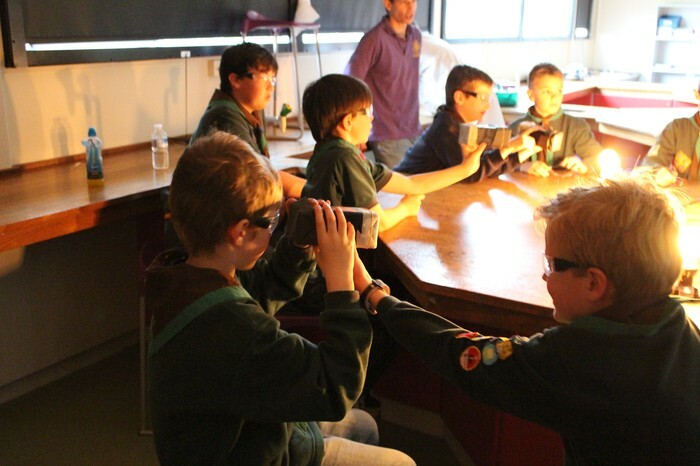 On two evenings last week the Science Department played host to two packs of cub scouts from Mangotsfield (67th Kingswood). 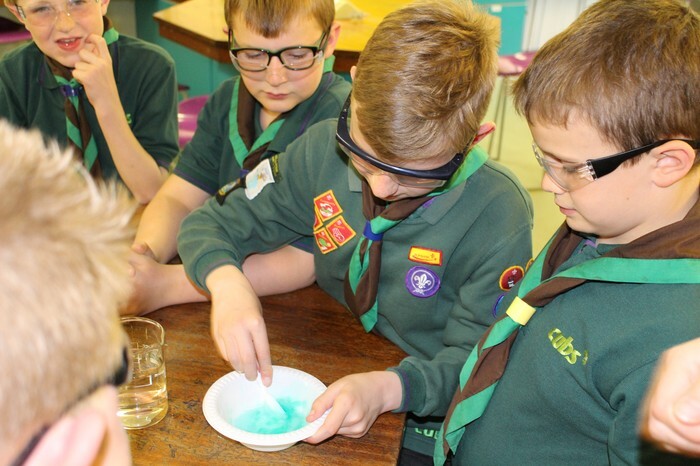 The cubs were taking their Science badge and took part in a series of scientific experiments led by Miss Hawkins and Miss Connolly. 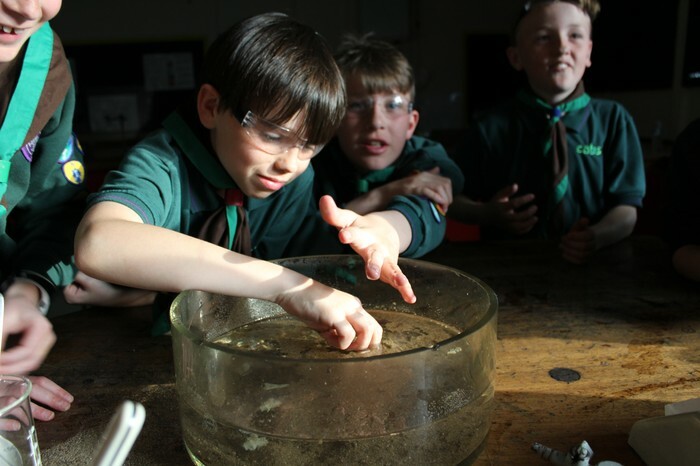 They learnt how to clear up an oil spill, make a pinhole camera, how butterflies drink and how to create snail slime, as well as finding out about hydrogen rockets and the structure of the solar system. Thanks to all staff involved for a really inspiring event. Year 10 Students - An Important Message! All Year 10 students will be doing their Science controlled assessment starting the week beginning 27th June for 3 weeks. 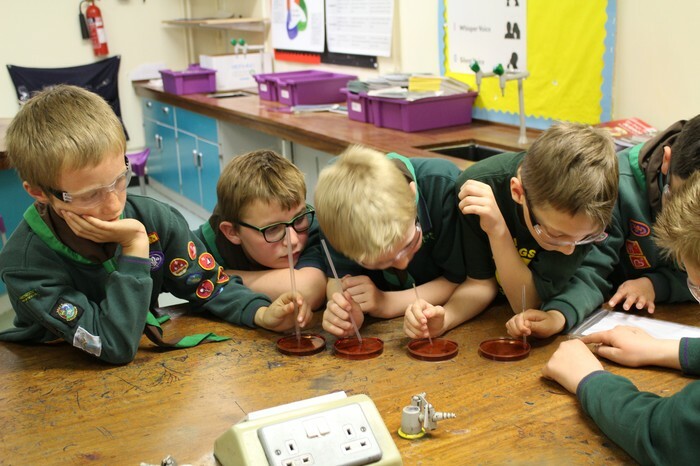 It is therefore essential that all students attend all their Science lessons during this time, as it is worth 25% of their GCSE Science grade. We had excellent seats in the centre stalls, where we could really appreciate all the instrumentalists and ‘Mr Switch’ on the turntables. 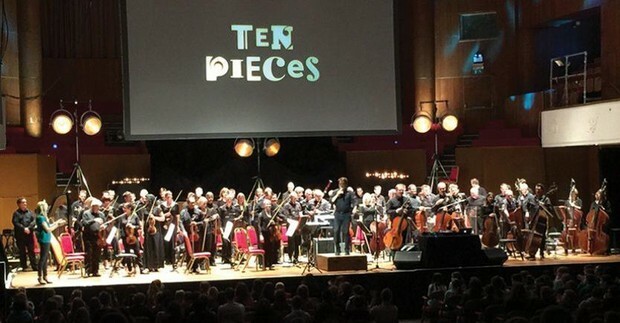 The concert was free to students and it was an excellent opportunity to hear musicians playing in a large orchestra. For more details and photos, see the B.B.C. website. The Design & Technology Department are asking for clean plastic 'take-away' containers (with lids). They would also like the white polystyrene discs that come with supermarket pizzas. If you can help please send to the D&T department. Many thanks. Most of our Year 11 students have confirmed offers for next year in Sixth Form, colleges or apprenticeships. If you have yet to make arrangements for September, or need some help with current arrangements or apprenticeship support, please contact Miss Phillips at any time throughout the exam season and into the summer. 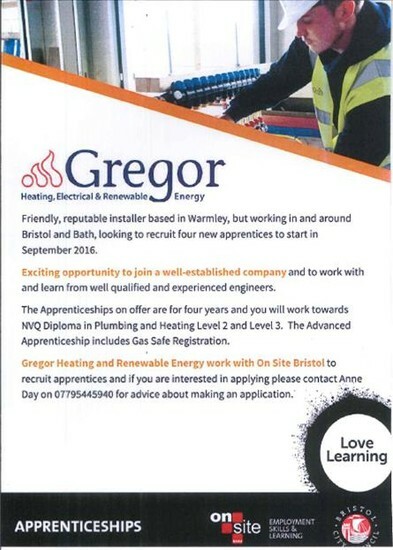 Gregor in Warmley are looking for four apprentices and recently dropped in some flyers to our school specifically as a local school. This is just one of the many apprenticeship opportunities being advertised in the Bristol area at the moment. Please keep an eye on the National Apprenticeships Service website for all offers. Go to https://www.gov.uk/apply-apprenticeship for more information. Miss Phillips can help at school with apprenticeship information and advice. A new site for CSET students and parents, 'Premium Partners', gives access to local apprenticeships. In addition, there will shortly be a 'Saturday jobs' slot advertised by firms who work closely with CSET schools. Final Work Experience Reminder - Return All Forms ASAP! We have some exciting work experience places going ahead this year. There are just a few students who have yet to return placement forms to Miss Phillips. This is now super-urgent! We look forward to celebrating our usual work experience success in the next bulletin. Miss Phillips is your contact at school. 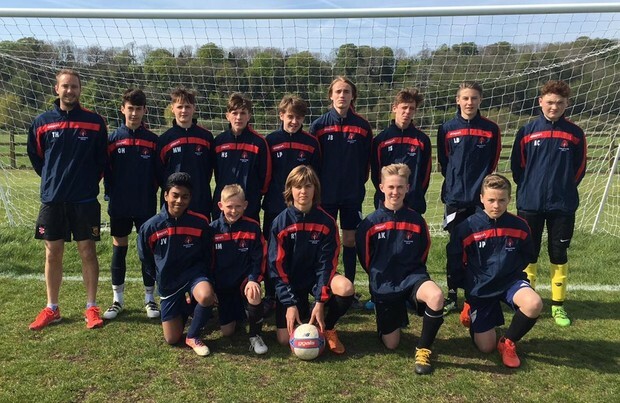 The Year 9's were looking to defend their status as Bristol champions against Castle School at Fry's. The first half was one of the toughest tests to date for the team, with them being on the back foot for the most part. However, they came out the better team in the second half largely down to the introduction of Joe Beardwell, whose physicality made a big difference up front. Max Williams finally broke the deadlock after a lot of pressure from Mangotsfield. After the first goal went in there was only one team in it and further scores from Oli Hulbert, Bailey Sloper and Max Williams' second goal sealed off a great 4-0 performance over a strong Castle side. They now go through to play in the final for the whole of Gloucestershire. 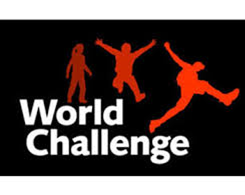 Assemblies for Years 10 and 11 are taking place at Mangotsfield and Downend schools this week with a representative from World Challenge talking about the 2018 expedition to Nicaragua. A World Challenge expedition is a once-in-a-lifetime opportunity for young people to broaden their horizons, learn about different cultures and make a difference through project and charitable work in disadvantaged countries. 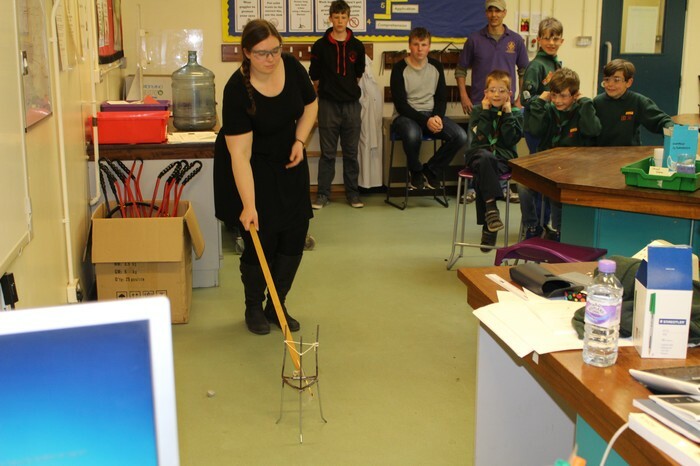 Those students who take part learn all sorts of valuable life skills and gain self-esteem and independence. The work starts when they have to rise to the initial challenge of fundraising for the trip. There will be an evening for any interested students and their parents/carers at Downend School on Thursday 19th May at 6.30 pm. Are you aged 13+? 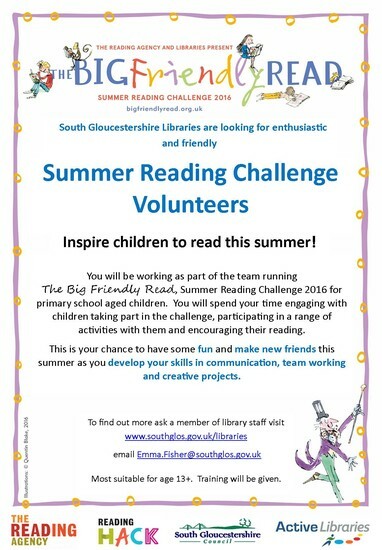 Please see the flyer below to find out how you can help younger children with their reading this summer. Aside from making a difference to a younger child's confidence with books, this is a good opportunity to gain some really useful skills that will appeal to prospective employers, colleges or universities when you come to create your CV. 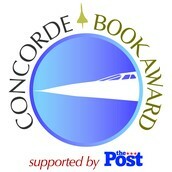 The Concorde Book Award was started by a group of librarians from South Gloucestershire schools. It is now in its tenth successful year and the award is still growing! The idea behind the scheme was to encourage students to join reading groups, which in itself provides an enriching experience, but also to provide an award that takes account of the students’ views, as distinct from the many children’s book awards which are judged solely by adults. This award is held in high regard by teachers and students alike and all students who take part benefit tremendously from the experience. Students from 14 secondary schools and public libraries in South Gloucestershire took part in the award in 2016 and over 150 people attended the Award ceremony at the prestigious Bristol & Bath Science Park. 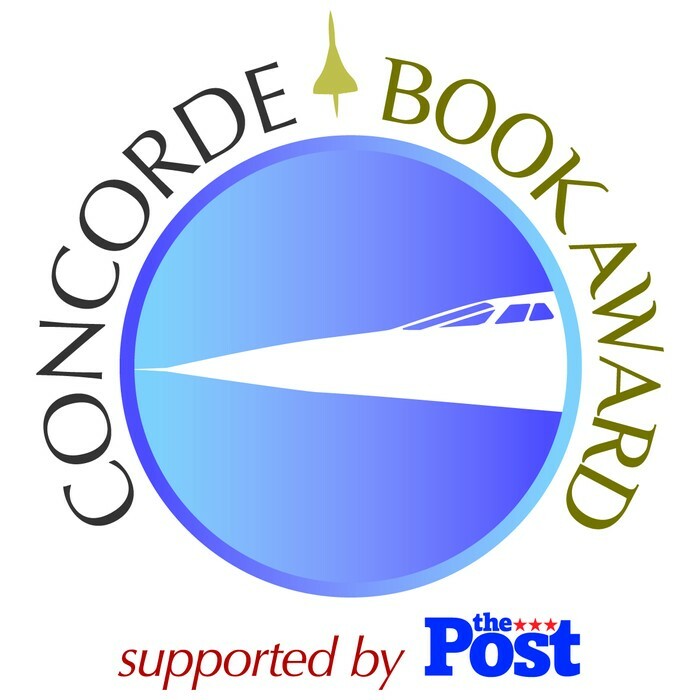 Furthermore, the Concorde Book Award was supported by The Post who ran an article featuring the shortlisted titles and the Award ceremony. During May and June 2016 students in Years 7 and 8 are asked to nominate books for the award. They must choose a book of fiction they have enjoyed reading and want to recommend to other young people. If you are a student in Years 7 or 8 you can nominate a book for the award and take part in the reading group. See Mrs Wells in the LRC for details. Books eligible for the award must have been published since January 2014, be available in paperback and be an excellent standalone read. The students’ nominations determine a long list of the most popular titles. From this long list a small panel of librarians select a shortlist of 5 or 6 books, judged to be high-quality fiction and wide-ranging in interest. This shortlist is announced in the Autumn 2016 when Year 7 and 8 students throughout South Gloucestershire are given the opportunity to join reading groups in their school or public library. Within these groups they read and discuss the short-listed books. On World Book Day (Thursday 2nd March 2017) students in reading groups will vote for their favourite of the titles. The votes are then counted and the winner is announced at an Award ceremony to be held at the Bristol & Bath Science Park on Tuesday 7th March 2017. A guest author will attend to give a keynote speech as a treat for the participants and the winning author is also invited to attend. We are looking for sponsors for this book award - if you can help please contact the librarian, Mrs Wells. Thank you. 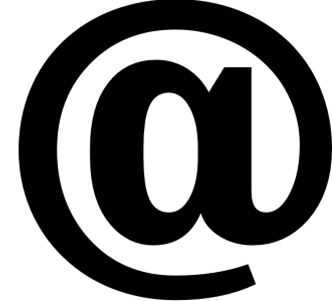 E-mails to any of these accounts will be directed immediately to the department concerned who will reply via that e-mail address. If you know the name of the teacher you wish to contact, please add it to the subject line to ensure a prompt reply. If you would like to join our team of Lunchbreak Supervisors, please contact the HR office on 01454-862740 for further details.